The Family Vacation typically brings back a myriad of memories from our childhood. In some cases, families encounter a great deal of difficulty when attempting to find an affordable vacation. For this reason, stay-cations have become a popular alternative to traditional vacations. 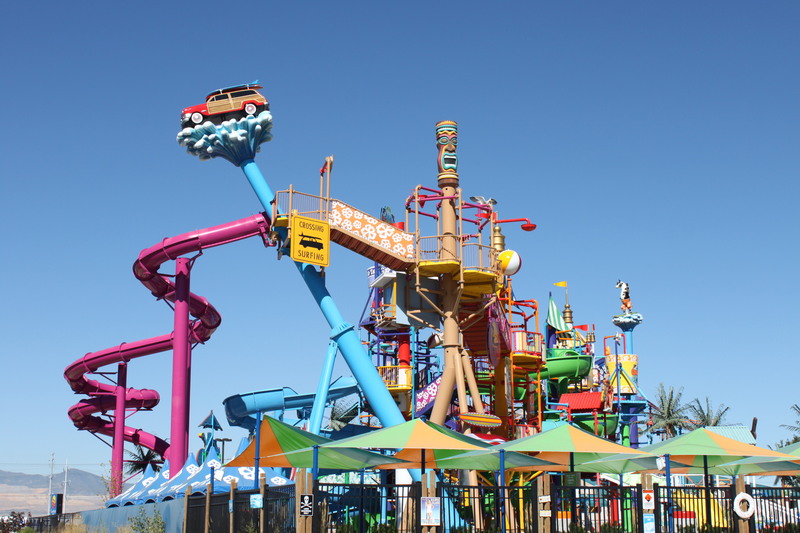 Henderson, Nevada offers several attractions to enjoy an ultimate family staycation. The Cowabunga Bay Waterpark. This attraction is excellent for families who love to have fun in the water. The park boasts several water slides and a wave pool. The park offers free admittance to children under the age of 2. In addition the park offers season passes. The Lion Habitat Ranch. For the animal enthusiasts in the family, this ranch offers up-close and personal views of lions and giraffes. Visitors can also feed the animals for an additional fee. General admission is from 10am until 2pm Friday through Monday. This lion sanctuary also offers behind the scenes tours throughout the week. River Mountain Loop Trail. The outdoorsmen in the family will love to hike or bike this trail. The trail spans 34 miles near the Las Vegas valley and Lake Meade. Much of it is paved and it offers spectacular natural views. This is an ideal activity for the cooler months of the year. Ethel M Chocolates Factory and Cactus Garden. Anyone in the family with a sweet tooth will enjoy visiting this Chocolate factory. The factory offers tours,chocolate tasting, and a plethora of candy products. The four acre cactus garden is the largest in Nevada. The District at Green Valley Ranch. Shopping may be on the agenda while enjoying a staycation in Henderson. The District at valley ranch offers numerous dining choices including P.F. Chang’s and national retail stores like Pottery Barn. Lake Las Vegas Resort. Located seventeen miles from the Las Vegas strip, this resort offers reasonably priced accommodations and amenities such as golf and an outdoor pool. This resort is a beautiful place to spend a day or to stay overnight. Sloan Canyon National Conservation Area. This conservation area encompasses nearly 50,000 acres. The United States Department of the Interior maintains this historic land. The area features unique geological structures and Native American art from both historic and archaic eras. The Great Greek. If the family is hungry from engaging in the aforementioned activities, The Great Greek is an excellent choice. The restaurant specializes in Greek inspired dishes such as gyros and avgolemono soup. The establishment also offers a kid’s menu. Settebello Pizzeria Napoletana. If Greek food is not what you would prefer, try Settebello’s for expertly cooked pizza. The authentic woodfired pizza is sure to satisfy the pickiest eaters. In addition to pizza, the restaurant offers a myriad of specialty salads and bread. Henderson, Nevada presents exceptional opportunities to enjoy a family friendly staycation. There are activities that everyone will find enjoyable. These options are also budget friendly for families. Plan your Henderson, Nevada vacation today–the memories await.